MANHATTAN — It's a fight to raise the biggest online stink. As Upper East Siders oppose the city's plans for a 10-story East River waste transfer station at 91st Street, a group in the hipster havens of Williamsburg and Greenpoint is taking them on via social media. In an acronym-laden battle, members of North Brooklyn's Organization United for Trash Reduction & Garbage Equality — OUTRAGE — have been worried about the social networking momentum of a new Upper East Side group, Residents for Sane Trash Solutions — RSTS — in fighting the city's solid waste management plan — SWMP. One member of OUTRAGE, which wants the east side facility to ease pressure on the Brooklyn neighborhoods, took to Facebook earlier this month pleading for more friends, and worried that that RSTS had far more "likes." "We need you to like us," OUTRAGE organizer Courtney Renken wrote on Facebook. "We may not have the same funding as this group of people, but we have the numbers and an amazing North Brooklyn community willing to fight for equity." OUTRAGE has nearly 60 friends on Facebook. RSTS has more than 170. The coalition of more than a dozen North Brooklyn community groups wants to see the Upper East Side facility move forward since it's a key part of a bigger plan, passed in 2006, enabling each borough to handle hauling its own trash and reducing the burden on neighborhoods, like North Brooklyn, which has a disproportionate number of trash facilities. Since forming last year, RSTS has been campaigning against the East 91st Street station, whose ramp would bisect the popular Asphalt Green recreation center where kids from the Upper East Side and East Harlem play ball. The group fears the project — expected to cost at least $125 million, according to the city — will bring bad air quality, dangerous intersections and rat infestations to a densely residential neighborhood. "If there's a way we could fight this together that would be eminently reasonable," Jed Garfield, president of RSTS, said of the two groups, noting that one of his members crossed the river to attend a recent OUTRAGE meeting. "I think we have common ground with a lot of people," Garfield said. "We're fighting 'the man.'" He added that even though his group has raised $250,000, it hasn't been easy. "I'm out four nights a week begging people for a $200 check," he said. The facility, RSTS members point out, would not only be near high-priced condos but also the Stanley Isaacs public housing complex. OUTRAGE volunteer Eric Bruzaitis hoped the Upper East Side group was sympathetic to its cause and could "find a way to live in peace" with the East 91st Street facility. "I expected to see progress in truck traffic and solid waste reductions by now, but they have not materialized," Bruzaitis wrote in an email. "OUTRAGE is concerned that the East 91st Street [marine transfer station] has been delayed from opening as it was originally scheduled. Each delay creates a domino effect that stalls other elements of the SWMP from being implemented." North Brooklyn bears 40 percent of the city's trash burden, along with 5,000 truck trips and the asthma-related pollutants that come with that, Bruzaitis said. 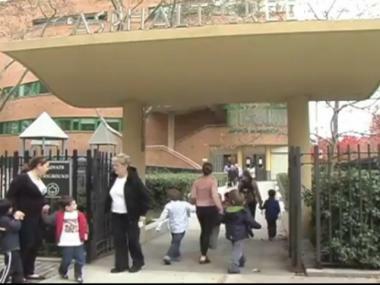 According to 2009 Department of Health stats, the asthma hospitalization rate was nearly 45 per 10,000 visits for Williamsburg/Greenpoint children under 4. The rate was roughly 21 for the Upper East Side. The 91st Street station will bring an estimated 140 trucks carrying residential and commercial waste a day barreling through the neighborhood, city officials have said. The state-of-the-art facility will transfer trash from a contained truck to a contained barge and have negative air pressure inside the station to clamp down on smells, they said. North Brooklyn and the Upper East Side will soon both be part of Rep. Carolyn Maloney's Congressional district under recently redrawn lines. "Waste transfer stations do not belong in residential neighborhoods," Maloney said in a statement. "When I represented Greenpoint and Williamsburg previously, I worked to shut down an incinerator and a waste transfer station that was allowing dirt to sift throughout the area. 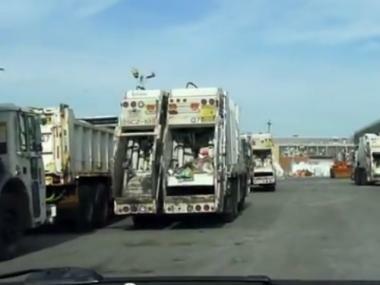 "My work in Brooklyn has informed my opposition to the waste transfer station at 91st Street." She added, "The 91st Street waste transfer station will impose an extraordinary burden on the community and should be stopped."